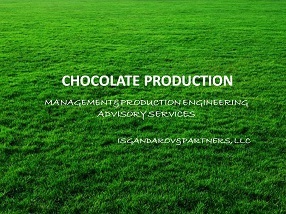 Isgandarov and Partners LLC provided consultancy for developing the corporate governance systems at major local confectionary and chocolate producer and trading company. The Project has covered the development of internal control system at board level with introducing the roles and responsibilities of key internal control function players, including but not limited to drafting the policies and procedures for establishing the Audit Committee and Internal Audit Department, Risks Management Department. The number of trainings have been provided for Management Board level representatives to show the role of corporate governance within the company, specifically, emphasizing the vital importance of effective company-wide internal control system. The Advisory Services have been provided within the framework of IFC Eastern Europe and Central Asia Corporate Governance Project. Isgandarov and Partners LLC has provided the Due Diligence consultancy service for the local investor to examine the financial and operational performance of major local confectionary and biscuits producer. The assignment has included the full examination and valuation for producer’s fixed assets and inventory, receivables and payables. The Due Diligence report provided for main risks and opportunities associated with potential investment in producer’s business as well as provided the recommendations on business development should the investment was in place.